Pink is the color of romance and first love. Pink is the delicate hue the cheeks take on when they meet the face of a lover. Deep pink is the color of luxury and rich dreams. Strawberry pink is cute, bubbly, and happy with a sense of girly fun. When you color a bedroom in shades of pink or do it up with pink furnishings you can create many magical moods. If you love pink and want to celebrate this special color in your bedroom there are many Pink Bedroom Ideas that can inspire you. Decide on the look you want for the bedroom. 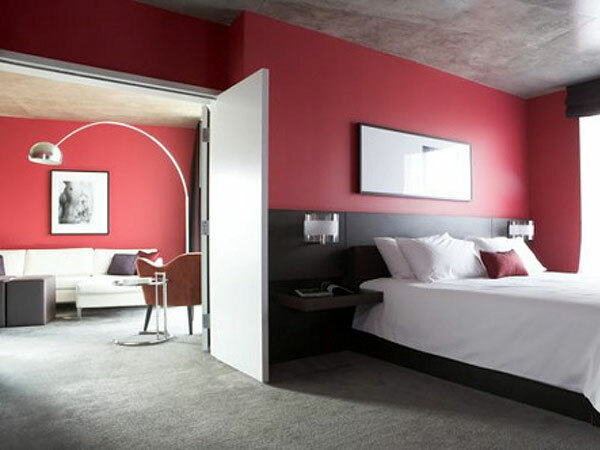 Do you want an intimate look that breathes the colors of love, or perhaps a fresh and happy look for the bedroom? Go for pink furnishings or a shade of pink for the walls that matches the mood you have in mind. For a romantic feel go for a vintage canopy style bed and hang up pretty pink curtains. If you have an old style bed with bedpost create a magical honeymoon look by trailing baby roses in delicate pink along the posts. 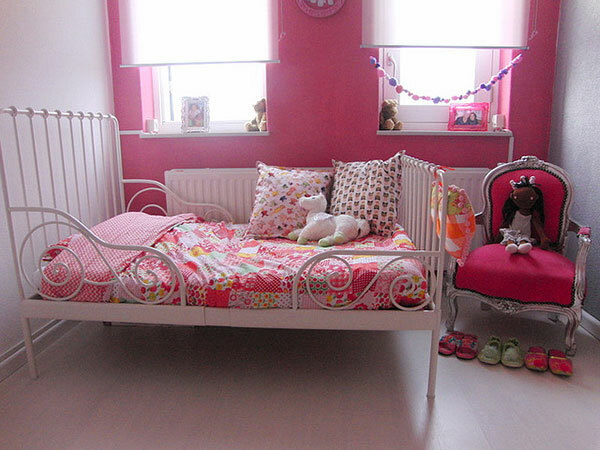 To do up the bedroom of a baby girl try a soft pink for the walls and keep the look light with plenty of white. 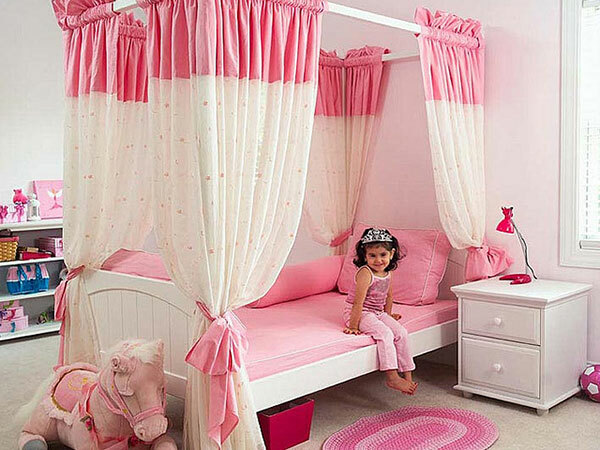 Little princesses may love the Barbie doll pink look for their bedroom, and a great idea would be to have a border in pretty pink to decorate the upper parts of the walls of the bedroom. If you do not want the pink flush everywhere in the bedroom you can keep the look subtle yet dreamy with a soft pink for just one element, such as the curtains, the bedspread, or the wall behind the bed. 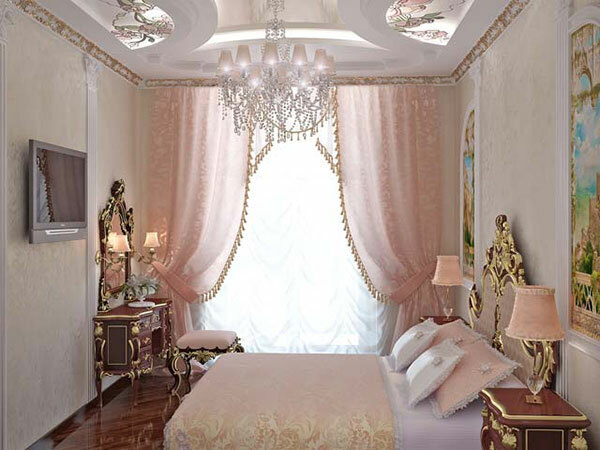 You can create a rich and royal look with deep pink patterned curtains for the windows or bed. Get the curtains in silk or satin for a feel that is moody and full of romance. 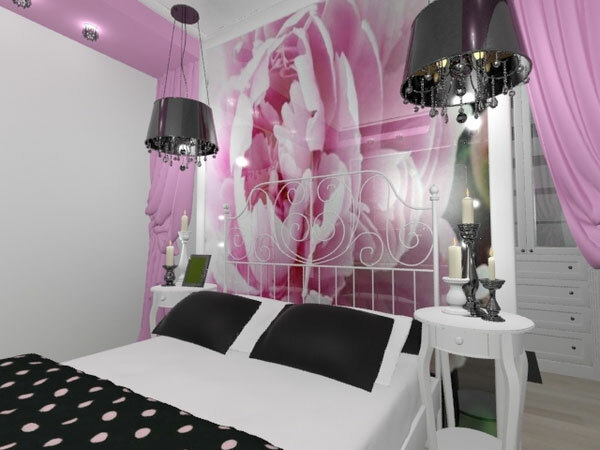 To bring pink into a modern stylish bedroom you can go for deep pink walls with a black and white pattern for the rest of the room. Create drama with a rich shade of pink combined with deep gray. Go for little touches of pink in a mainly white bedroom. Paint the colors of love in your pink bedroom space. The pink patterns on the pretty hand-woven cotton furnishings go well with the pink walls in this small and comfortable bedroom. The alternating light and deep pink wall shades look great with the organic white cotton bedspread done up in pink and golden floral designs. The delicate flushed pink wallpaper with patterns in a deeper pink combine with the soothing milky pink of the satin bed in this small luxury bedroom. The heavy delicate pink curtains are great to filter the outside light in this pink and red theme bedroom. The pastel pink walls and the bedspread match each other in this small bedroom. The flag hung above the bed shines with the colors of a rainbow love. The organic cotton bedspread is colored a pretty pink with touches of white. The pink border with little sequins all along the walls is girly and sweet. The deep pink wall gives a girly look to this sunny bedroom for a baby girl. 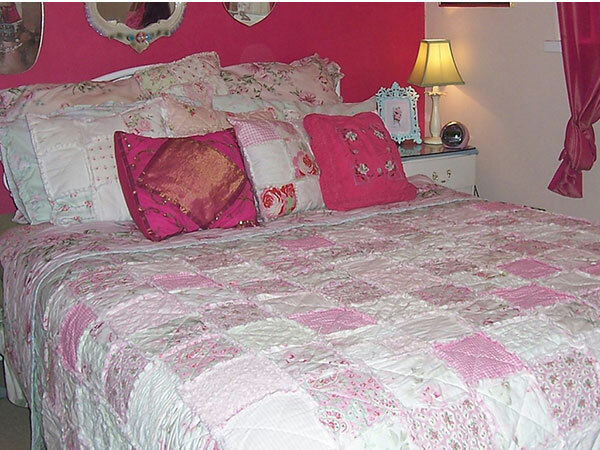 Her bed furnishings also feature pink patchwork patterns. The rich magenta silk cushions and wall are balanced by the white patchwork style bed with touches of pink in this small bedroom for a couple. Everything from the old style pretty bed curtains, to the rocking horse, to the floor mat are done up in delicate pinks in this luxury bedroom for a little princess dressed in pink. The shades of rich strawberry with rose patterns looks pretty in this small bedroom. The white furnishings with strawberry borders completes the look. 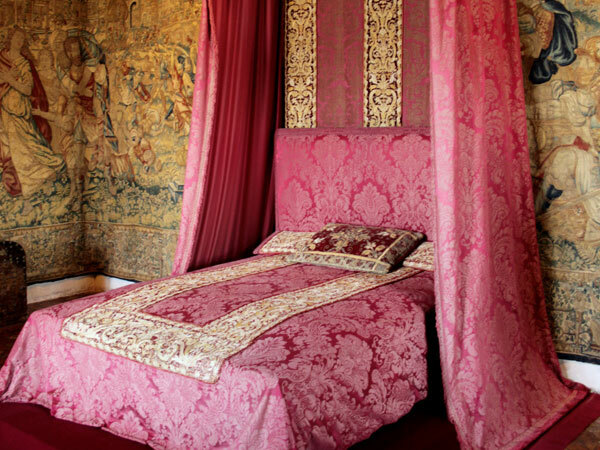 The rich wallpaper with Biblical motifs makes for a dense and luxurious combination with the deep pink silk furnishings of the bed in this vintage bedroom. The shade of pink bordering on peach has a soft and romantic look with the raised patterns creating a retro shimmer effect on the curtains and bedspread. 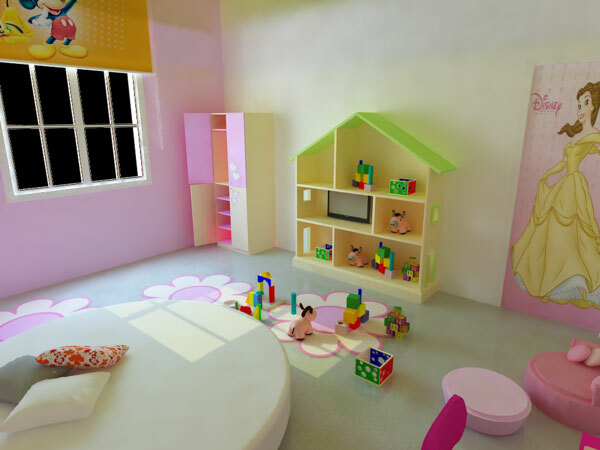 This large room with rounded shapes and soft pastel shades is perfect for a baby girl. The delicate pink wall adds a soft and dreamy touch. Check out the awesome rose design in pinks and mauve adding a rich contrast to the black and white patterns in this stylish modern bedroom. This small bedroom has been cleverly done up in pinks and mauve giving a fresh floral look. The curtains in dreamy mauve have cutouts of half-cats adding to the magical effect. White curtains hang with the magic of gossamer all around the pretty satin bed with tiny pink roses trailing down the bedpost in this romantic bedroom. In this modern smartly done up bedroom the deep gray floor carpets contrast with the rich strawberry shaded pink on the walls. The pink in this bedroom is very pale going nearly towards peach, which gives a dreamy retro feel to the surroundings. Styled mostly in fresh white with plenty of light pouring the delicate bed curtains blush pink in this lovely bedroom. 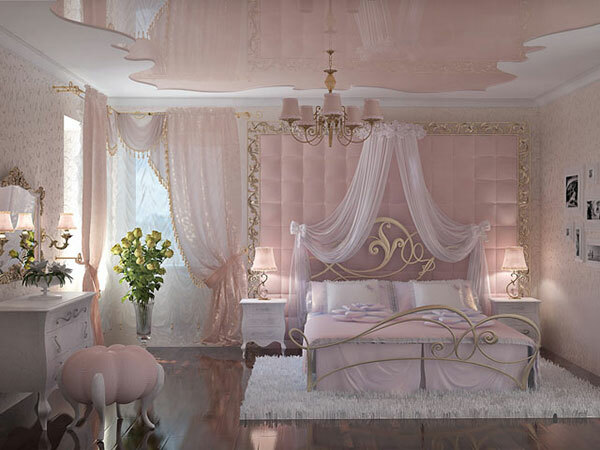 This large bedroom done up with a pretty pink pattern for the furniture has a luxury look just fit for a little princess. The strawberry pink curtains hang down creating a cozy corner in this small bedroom done up in light pinks. 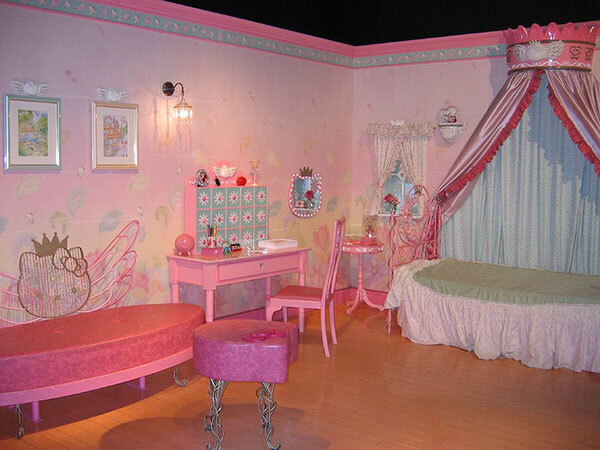 The pretty pink floor and the full wall cupboard give this small girl’s bedroom a completely Barbie bedroom look. 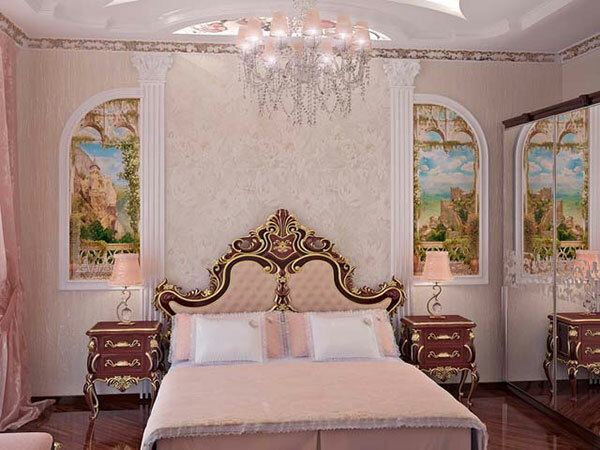 The paisley print wallpaper and the faux Doric style columns in this luxury bedroom take you back to ancient times. The delicate peach walls make a gorgeous contrast with the patterned reflections on the metalwork in this small bedroom. Decked up in delicate shades of pink with a luxurious canopy bed this bedroom spells pure romance and the magic of love. If you like this article, you might be interested in some of our other articles on Tall Wedding Centerpieces, Guest Bedroom Ideas, Small Bedroom Decorating Ideas and Rock Landscaping Ideas. I really like the more sutle lighter pink shades in the rooms, but the darker helps brighten a room to.. Pink color is girls favourite color. Pink Light Bedroom is so beautiful and its looking like its a bedroom of a princess with that beautiful wallpaper and lights. 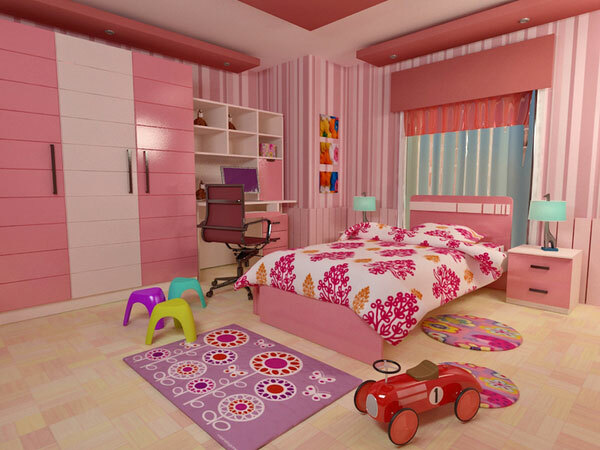 Wow these pink colored bedrooms are so beautiful i just loved it very creative ideas. 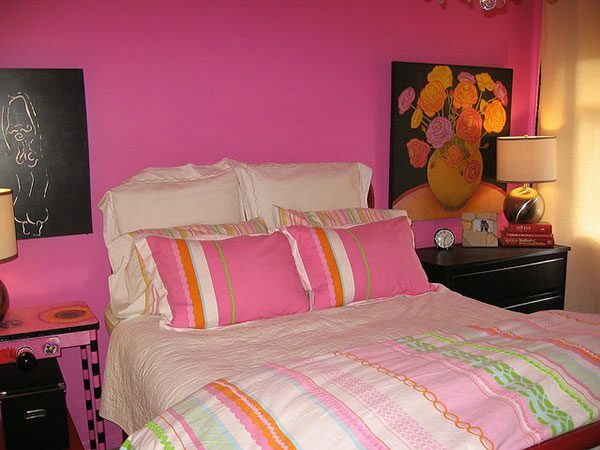 All the pink bedroom ideas are very attractive and the designs are very much creative. Guys can also have A Deep Pink bedroom ideas for their bedroom. Pink Wallpaper bedroom idea is also a beautiful bedroom idea and the floral wall-paper designs increases the beauty of the bedroom. 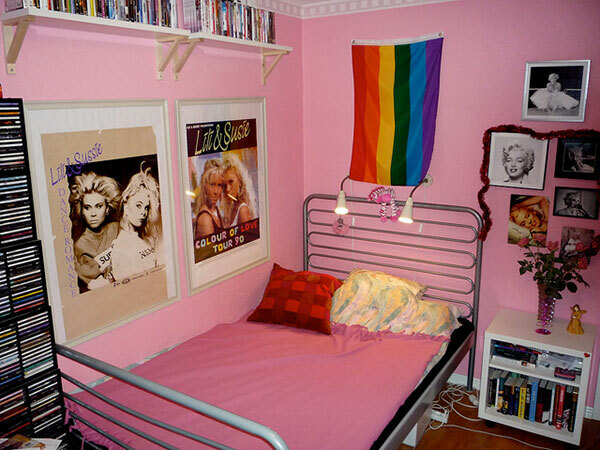 I love the Retro Pink Bedroom Idea. It suites me since I love retro stuffs. WOW! amazing collection of pink bedroom ideas are shown here these are design really very awesome i like the design of Pink Flavored Bedroom very much.